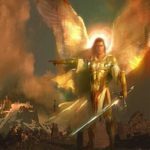 Speculative Faith | Is Netflix ‘Not Safe, but Good’ for Narnia? Netflix had acquired all rights to make films based on C. S. Lewis’s magical world of Narnia. Let us take the adventure that Aslan sends us. This week, The Chronicles of Narnia’s Facebook page announced the unthinkable: Netflix had acquired all rights to make films based on C. S. Lewis’s world. Was this fake news? Oddly enough, this page had been hacked before. Yet other sources quickly verified: NarniaWeb,1 Variety, Entertainment Weekly, and, of course, Netflix itself. 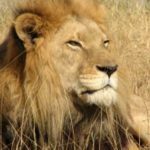 Let’s presume we’re all lifetime Narnia fans here, and get down to speculating. 1. What about ‘The Silver Chair’ film? No media sources I found mention what this deal means for the just-past-rumored development of the fourth Narnia film, based on The Silver Chair. It is (or was?) a real project. It would be (have been?) produced by Mark Gordon (Murder on the Orient Express, The Nutcracker and the Four Realms) and directed by Joe Johnston (The Rocketeer, Captain America: The First Avenger). David Magee (Finding Neverland, Life of Pi, and this winter’s Mary Poppins Returns) was writing the script. And C. S. Lewis’s stepson and head of estate, Douglas Gresham, had praised the early script as recently as this past February. Gordon and Gresham are, of course, named in the announcement. It’s not like the series has radically changed hands; Netflix will simply finance and distribute these stories. But would-be director Johnson and scriptwriter Magee are not mentioned. 2. Related: will Netflix reboot the entire Narnia series? They won’t shelve all current work. The recent films are still fresh enough in fans’ minds to make it safe starting with The Silver Chair. Pros: use existing creative work that’s already been done for this film adaptation, and save a bit on the budget (more on this below). Cons: pick up in the middle of a series, making the first three books difficult to adapt later. They’ll reboot the whole thing, likely starting with the first story in the series, The Lion, the Witch and the Wardrobe. Pros: name recognition, and the ability to carry forward with the whole series. Cons: this is a big-budget story. My prediction: Netflix will use The Silver Chair as a “soft reboot,” aligning with some of the film’s creative voices existing statements about the film’s intent. 3. Will a Netflix budget do these stories justice? If Netflix starts with The Lion, the Witch and the Wardrobe—or bows to pressure from certain fans and decides The Magician’s Nephew is the best starting point—that’s challenging. These stories “for children” are epic in scope. They have imaginative worlds, magical-portal travel, and creatures galore. Aslan figures prominently in both tales. 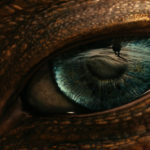 Even in the first series of three films, the budget is occasionally strained under the relative limits of animation technology available from 2005–2010. The Lion, the Witch, and the Wardrobe (2005) cost $180 million to make. However, Netflix has proven its willingness to fork over tens of millions of dollars for past productions. And with projections for Amazon’s The Lord of the Rings production likely starting at hundreds of millions, Netflix is incentivized to compete. Still, as I mentioned, Netflix could start with The Silver Chair. Budget-wise, this is far more reasonable without compromising the book’s themes. In fact, barebones budget fits perfectly with the story itself. Here, for the fourth Chronicle, Lewis actually “gritty reboots” the series somewhat. Gone are the many delightful creature comforts of Narnia, in favor of a tale about strict duty and obedience. Gordon will likely face less-expensive film construction and a struggle to market The Silver Chair. 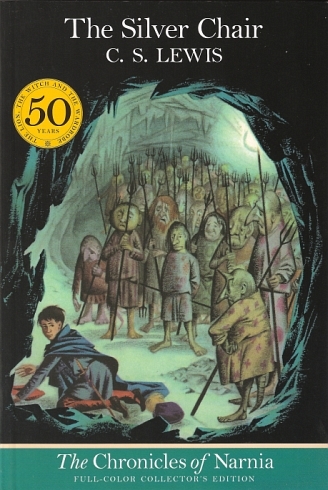 In fact, a new film’s journey may be like that of the story’s two English schoolchildren — the new Narnia friend Eustace Scrubb and the trust-averse Jill Pole (perhaps Lewis’s best heroine) — and their optimistically pessimistic Marsh-wiggle guide Puddleglum, trekking into the wild lands around Narnia to seek a long-lost prince. But such hardship may be exactly what a fourth Narnia film needs: a lower budget, tighter focus, less input from those with film investments to lose, and more faithfulness to Lewis. 4. Will Netflix make Narnia films or Narnia miniseries? Left unanswered in the early news is whether Netflix will make Narnia feature-length films, or miniseries, or both. Oddly enough, I see advantages to both approaches. Stories such as The Lion, the Witch and the Wardrobe as well as The Silver Chair and The Magician’s Nephew feature relatively simple, accessible narratives. However, all the other stories, especially The Voyage of the Dawn Treader, are quite episodic. 5. Who would star in a ‘Silver Chair’ film? Who among you loved The Voyage of the Dawn Treader film? Yes, I see those three hands. The film itself sunk. But Will Poulter as Eustace Clarence Scrubb totally deserved this role. (And a better story.) Alas, by now eight years have passed, and Poulter is too old to return to the magical land of Narnia. This marks a perfect chance for Netflix to go full into the realm of the “soft reboot.” They’ll re-cast all characters. I’d suppose they’ll likely choose another voice—besides Liam Neeson—for the great lion, Aslan. 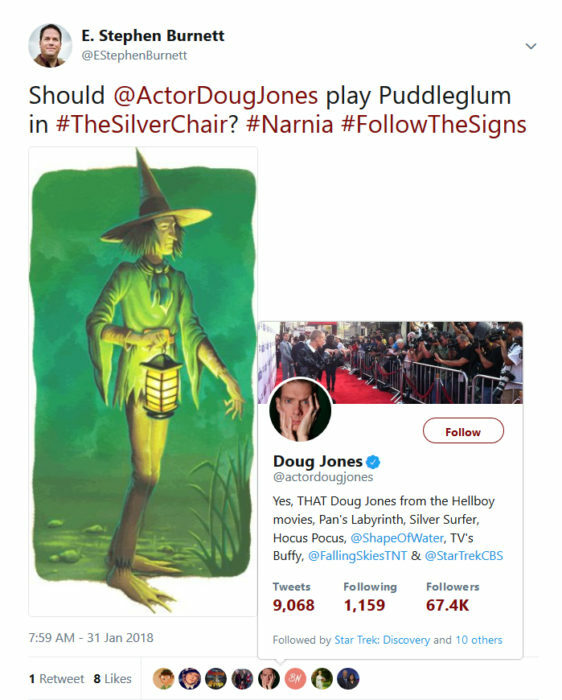 Make sure you note the Like from actor Doug Jones himself. It also turns out he himself floated the idea back in 2011. And who else could he play but Puddleglum? OMG — NARNIA 3 left a tear trickling down my boney cheek!! This is inspiring me to campaign for a role in NARNIA 4 …. 6. 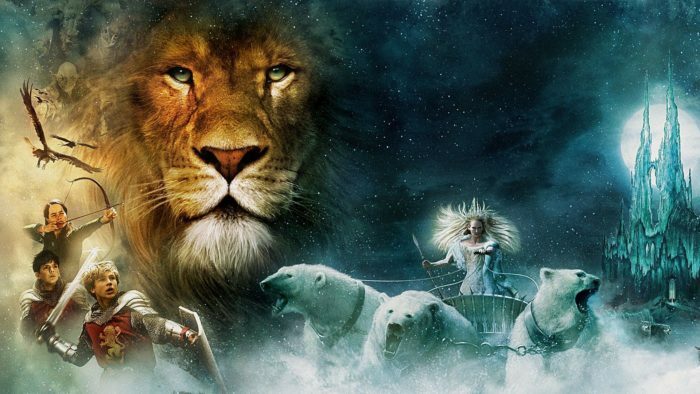 Would Netflix de-claw Aslan and weaken Narnia’s faith? Short answer: very possibly. Netflix has a lot of great fare, including among its original series, such as Erased and Lost in Space. It also has a lot of terrible content—not just exploitative (like Altered Carbon) or laughably hijacked for religious Progressivism (like Anne with an E), but simply poorly made. Douglas Gresham is involved. This man has spent his life working to get Lewis’s world turned into films. He’s also fought to preserve the “supposal” Christian elements that permeate Lewis’s stories as naturally remixed classic mythology. By all accounts, Netflix does tend to honor creative control. That, not just some monolithic “liberal agenda,” means its content can end up all over the place. My guess is that Gresham and Gordon saw this Netflix arrangement as the best way to make more films how they want. Now, the creators don’t necessarily need to compromise for the sake of the silliness demanded by the “children’s fantasy franchise motion picture” template (e.g., “believe in yourself” insipidity). Netflix’s involvement also removes a huge cost factor: physical distribution. Films can market themselves thanks to fan interest, and momentum remaining from the previous three films (two distributed by Disney, the third by Fox). 7. When will we get to see the new Narnia film or series? The statement doesn’t mention production or release timing. That’s also been a key element always left unanswered by creative voices talking about The Silver Chair. However, based on previous announcement-to-release timing, I’d venture we’ll at least know of a Narnia film or miniseries release date/year by the year 2020. In either case, I’m almost certain my family will personally be up for hosting a long-overdue NarniaWeb moot—not in theaters, but in our house. We will hope to enjoy the awaited release of whatever adaptation we get. And if it ends up terrible, well, we can try to work with that too. In that case, we’ll just make sure to invite Bacchus. This is the best Narnia news in a long time! Let’s hope they animate it instead of doing half CG, half live action. As long as it’s not too cutesy . . . I haven’t actually watched Netflix originals that are animated, but the stuff I have seen clips for doesn’t seem that great looking. But I prefer the classic Disney style animation over the newer stuff. Maybe I’m not the best to judge because I’m pretty flexible when it comes to art style. I’ll even watch uncanny-valley CG like RWBY if it has a good enough story. But Netflix was behind Devilman Crybaby and the new show Hilda, which both were very stylized types but fit their separate genres well. I think Narnia could make use of a more stylized type pretty easily, like something from that Canadian-European arthouse who did The Breadwinner and Song of the Sea (both also on Netflix at this point). I’m open to most any animation style, if they did that. But I’d prefer an anime aesthetic, like with The Last Airbender, (from what I hear) Castlevania, and such. Art style can be a big hurdle for me, unfortunately, though if I like the story enough I can get used to the art style. One art style I really hope they don’t use, though, is that new one that looks like 3d animation that tries to masquerade as 2d. The technology hasn’t gotten far enough with that, so the 3dness is usually kind of easy to see and looks a little bleh. Kind of hoping for a series, too, instead of them trying to cram everything from each book into one film. Cramming typically seems to lead to writing mistakes that reduce the overall quality of a story. It depends on what direction the give the studio. The studio that did Castlevania (reportedly, I haven’t seen it yet) has done a very good job of making things gritty and such. Not that gritty is always better, not to me at least. It depends. But if that studio can do so, then it’s possible. Then there’s Voltron. On animation style, I’m open to anything, except the new style dubbed (fairy or not) the Tumblr style or whatever they call it. I believe I can make a solid guess based on prior actions by Netflix that they will NOT animate it. Half CG, half live action is cheaper to produce than full animation and Netflix consistently tries to lower production costs. Are they planning on marketing it more toward kids or adults? That will probably influence whether or not they animate it, since people tend to be under the illusion that animated = kids show. The “all series and films produced through the deal will be Neflix productions” part implies to me that Netflix will not own any of the rights to the previously-existing Narnia movies. That would mean, if I’m reading the statement correctly, that this represents a “hard” reboot. Netflix seems to be committing to making its own production of the entire set of Narnia books, as well as committing to creating some Narnia series. I would guess that even if I’m right about that, Netflix would not want to make its first film a re-make of The Lion, the Witch, and the Wardrobe. Since that film was pretty well-received. If I were to venture a guess, I would say Netflix will choose to mark its independence from the other films by producing its versions in chronological order. Which means the first one will be The Magician’s Nephew. Then The Lion, the Witch, and the Wardrobe, then A Horse and His Boy, then Prince Caspian, then Dawn Treader, then finally after five years or more, The Silver Chair, followed by The Last Battle. My guess here could be dead wrong–but I think it’s worth considering that there’s no particular reason to get excited about a film version of The Silver Chair. Not yet. It may well not be next. Since I’m offering guesses, let me offer another–I bet that one of the Narnia series will involve the early days of the reign of the four monarchs in Cair Paravel…because that would allow Netflix to use the same actors they will use on contract for a number of the movies. 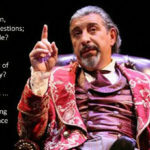 In a discussion on NarniaWeb’s Talking Beast podcast they suggested the possibility that they might start off with the Magician’s Nephew, and go chronologically. They were assuming they would be done as series with perhaps two books per season. The discussion was from two weeks ago when Netflix was only unconfirmed rumours, so they didn’t have the full information of “classic stories from across the Narnia universe into series and films”. Patrick Stewart as Aslan would be amazing. I love his reading of Last Battle and am greatly disappointed that he only made the one audiobook. But I also agree with your rational for starting with the Silver Chair. Out of all the Narnia books, Silver Chair (and Horse and His Boy, to an extent,) has the least special effects. I’m optimistically ecstatic! Cautiously optimistic, anyway.